"[Guitar & Voice] is just that, just those perfect things, guitar and voice - coaxed & shattered & sublimated & splintered & mirrored & burned to ash... This is unquestionably one of the best albums of 2012." 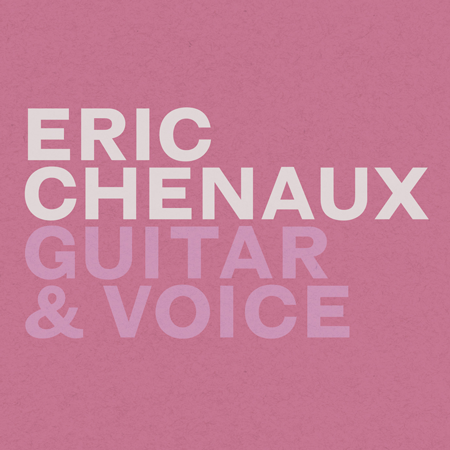 "Songs hover above the ebb and flow of Chenaux’s unhurried guitar – there’s a stillness at the album’s heart, like watching harbour lights at midnight. …B’s voice is high, jazz-tinged and husky, like a latterday Arthur Russell…His drifting ballads of urban lovesickness offer a heartfelt kind of alt lounge music that is irony-free... As with the whole album [Guitar & Voice], considerable care has been taken with the sound, and these are bright, ringing consorts like a meditative viol group or gathering of Hardanger fiddles... Chenaux’s voice in particular benefits from the game-raising approach. An interesting example of a performer getting more experimental and simultaneously more studio-savvy, Chenaux has produced his best work yet." "The album [Guitar & Voice] alternates between atmospheric, lushly textured instrumental pieces and gorgeous ballads that feature Chenaux's warm, feather-stroke vocal melodies... Throughout the collection Chenaux combines meticulous songcraft with experimental instincts, so no matter how pretty or tuneful a piece is, he adds compelling layers of noise and texture, shaped with an improviser's sense of adventure."